Electric Gates Repair & Installation Services and Garage Door Repair In Los Angeles. BR Garage Doors and Gates. helps you to install the electric gate at your home. we sell and repair all types of electric gate motors in Los Angeles. We would also repair your gate to ensure that they look beautiful. Looking to install or repair a new garage door? Get the best garage doors repair and installation services in Los Angeles from the real experts. We specialize in repair and installation of all types of garage door openers in Los Angeles. Intercom repair and installation can be a lot simpler when you have an expert by your side. 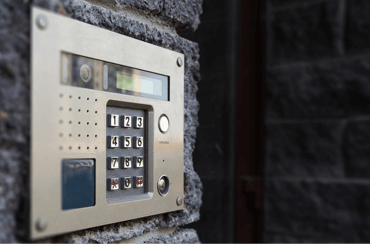 At BR Garage Doors and Gates., we also offer professional intercom repair and installation services. We would set up the system without any hassles. At BR Garage Doors and Gates., we understand that you want the reliability that the top brands offers. 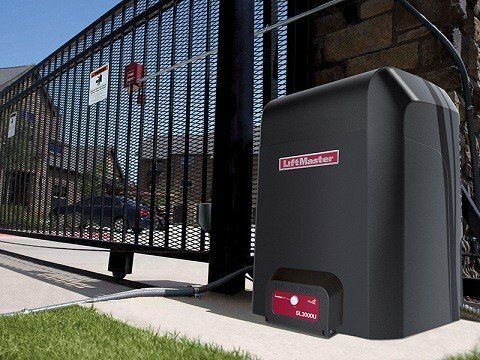 Our experts in electric gate installation in Los Angeles would help you choose the right gate motor from the leading brands in the market. We also help you choose from a range of different styles. We also help you choose the most advanced gates that add uniqueness to your home. When you get our electric gate repair services in Los Angeles, we ensure that only use 100% original parts and equipment to repair the motor of your gate. With BR Garage Doors & Gates., you can get complete peace of mind. Are you looking for the most professional response in the field of garage door spring repair? We are at your service! We specialize in repair and replacement of all types of garage door springs such as commercial and residential. We provide our clients with an advanced array of solutions that is based on uncompromising professionalism and the highest quality in the field. 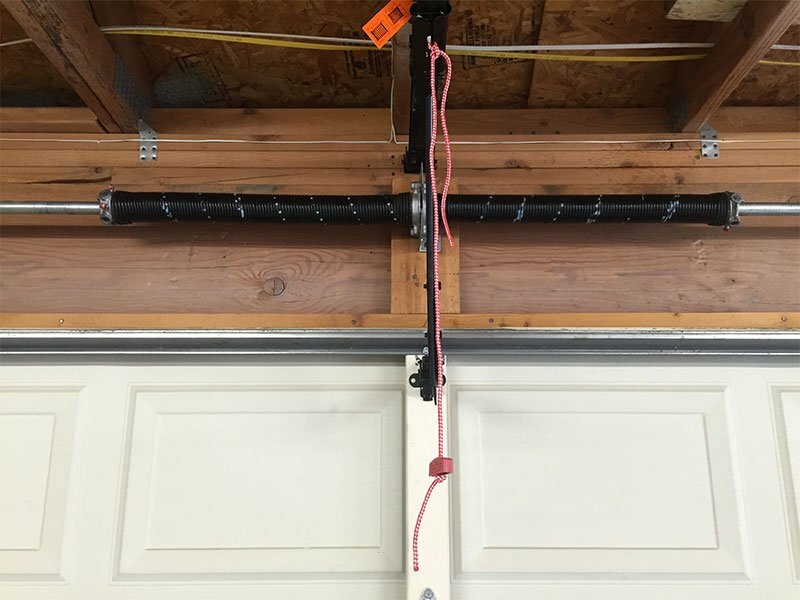 The garage door spring is the key component in the door’s functioning; in fact, the garage door is cannot work when the spring broken or when its poor maintenance. Your garage door spring can break for many reasons, amongst them natural wear, poor maintenance, extreme temperature fluctuations and etc. 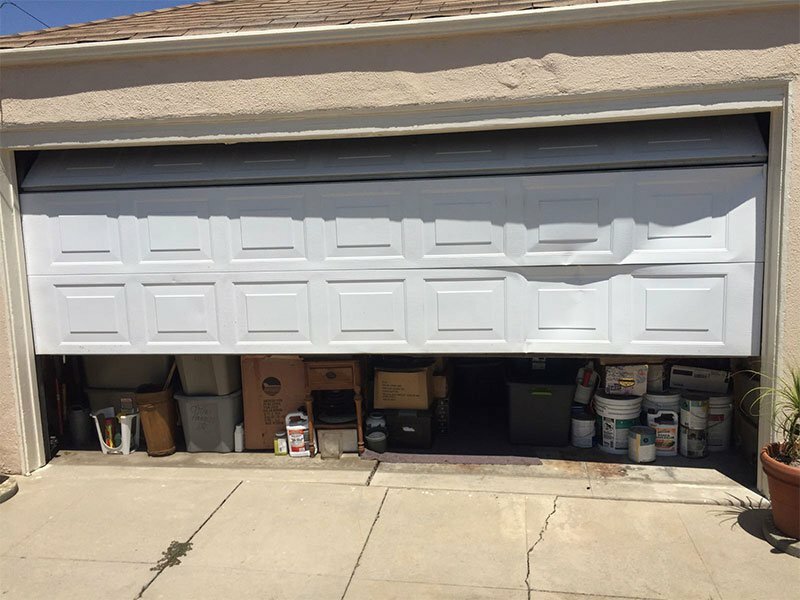 Being one of the most common requests for repair, our company specializes with garage door spring repair in the Los Angeles area, we also pride ourselves with providing solutions and ideas for all the existing garage door problems. If you have a problem with your garage door or with the garage door’s opener? You can count on BR Garage Doors and Gates To provide you the best service. The basis is: understanding the problem and what it causing it. BR Garage Doors and Gates will give its 100% when fixing every single door. Our rule is that we will do our best to provide them with the best service at a fair price. We know that garage door opener repair can sometimes be an unpleasant experience, this is why we commit to fix the garage door on the same day. A crew of a skilled company that provides door-to- door repair services encounters a wide array of malfunctions on a daily basis, some of the most central malfunctions are: spring repair, Panel repair, Wheel Replacement, Off-Track Repair, Cable Repair, when there is a malfunction in the garage door its best to call a professional. BR Garage Doors and Gates specializes on repairing garage doors, if you need residential garage door repair, or commercial garage door repair, you are at the right place. Our garage door repair Los Angeles has many years of experience in the field of garage door repair, all our technicians are licensed and professional and will always make sure to execute the works in the best way possible, Furthermore, in this field our service has no competitors. In addition, we provide maintenance services for garage doors, which will aid in keeping them functioning and prevent many malfunctions that can take place in the future. Fiberglass garage door. The BR Garage Doors and Gates company is proud to present all its clients with the highest quality service; our staff offer the garage door installation services, which are professional, reliable and trustworthy. Throughout the years we have executed many jobs in this field and each time provided our clients with the best solutions, and this without compromising on a quality product made of the best materials, as well as a professional and adequate installation. You are welcome to contact us to schedule a consulting and guidance meeting, without any obligation on your side. 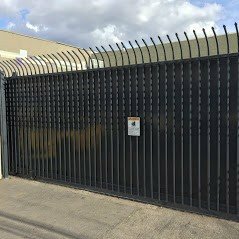 The BR Garage Doors and Gates Company executes the installation of Electric Gate Operator in Los Angeles for any existing gate. In addition, we sell and repair all types of electric gate operators, including their installation and maintenance at the client’s residence. We provide each client with a particular electric gate opener according to his needs, and also offer guidance while selecting a quality gate operator for an electric gate. Our variety of client motors we offer are compatible to all types of gates: Slide gate, Swing gate, Overhead gate, Automatic gate, Roll up gate, Commercial gate, Residential gate, etc. Installation, maintenance, and repair of electric gate requires experience and skills. Furthermore, the selection of an electric gate involves multiple logistic considerations. BR Garage Doors and Gates experienced staff will insure the installation of a high-quality gate operator in a way that will prolong the gate’s lifespan and allow its operation without any malfunctions for many years. 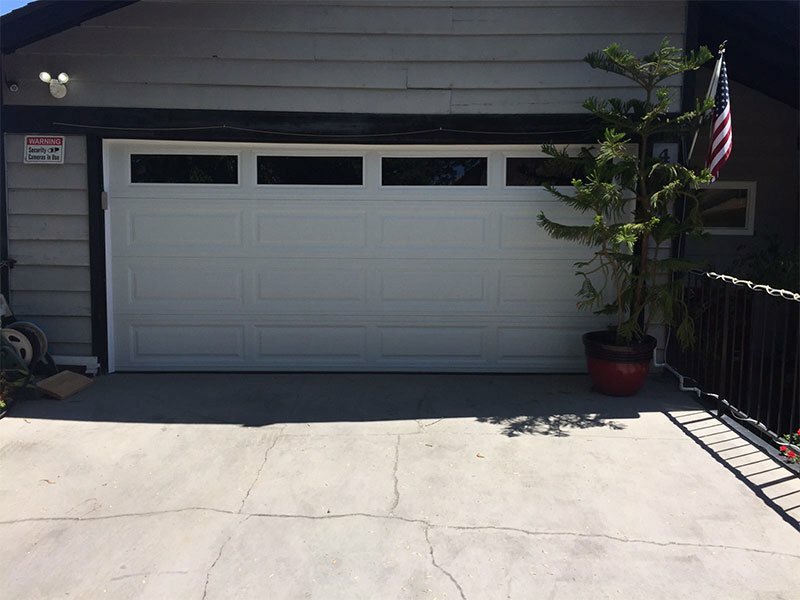 BR Garage Doors and Gates we provide a comprehensive service for the Electric Gate repair Los Angeles, this in order to provide each client with the most appropriate and convenient solution. We provide Electric Gate repair services in Los Angeles. BR Garage Doors and Gates professional staff will diagnose the malfunction prior to electric gate opener repair, thus providing the fastest and most efficient manner. We repair all types of electric gates, and if necessary we replace the problematic components in the system. We place at your service BR Garage Doors and Gates skilled and professional team, which will reach you as soon as possible to fix the malfunction this so you can go back to regular work as soon as possible. We repair all types of existing repairs. For example, the repair of an electric gate, chain Repair, sensor repair, gate repair, gate opener repair, gate track repair, gate motor repair, etc. BR Garage Doors and gates we have in stock a wide array of equipment compatible with different types of electric gates in Los Angeles, thus enabling us to immediately repair all kinds of malfunctions. Electric Gates require periodical treatment regardless of malfunction-related repairs. Periodical treatments preserve the product’s life-span and prevent unnecessary malfunctions. The gate has mechanical parts get worn out as a result of their daily work; periodical treatment will allow the replacement of worn out parts before they cause unnecessary damage. The BR Garage Doors and Gates company makes repairs and periodical treatment for all types of gates and gate motors in order to keep your products safe and save on maintenance costs. Gates are mechanical switch multiple parts – bearings, hinges, pulleys and electronic systems that command the gate and its motion. 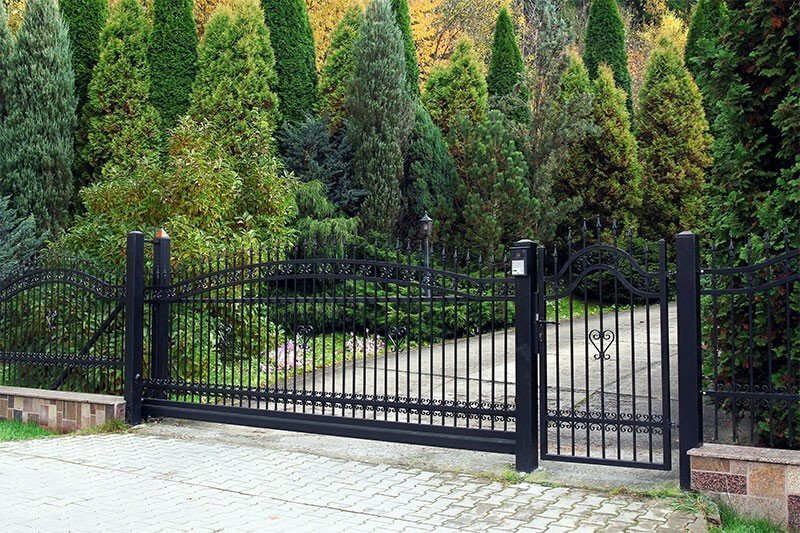 As any other mechanical component, the gate’s maintenance significantly influences its lifespan, as well as the manner in which you enjoy its use. If you want to avoid repairs every short period of time, you need to closely follow the maintenance instructions and carry them out regularly. 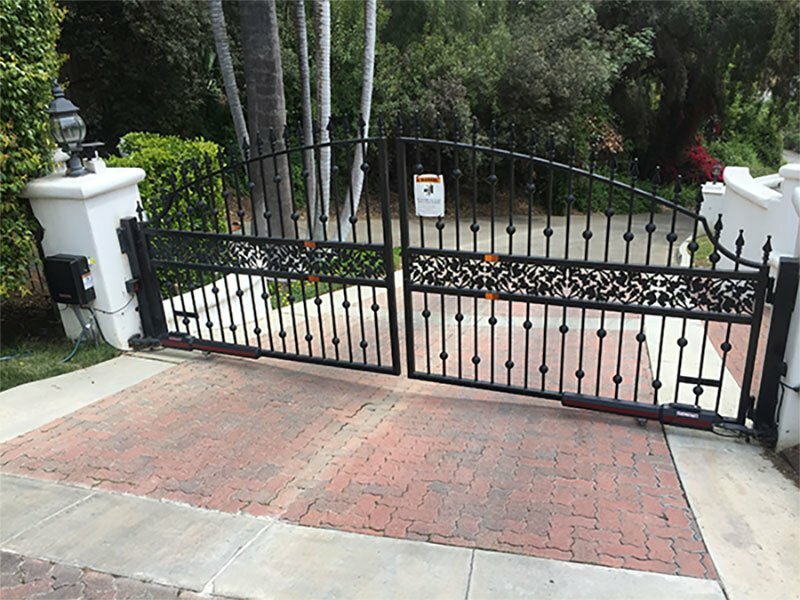 Gate repair Los Angeles, gate maintenance and installation, we do it all quickly and professionally. Our service representatives are waiting your call at : (888) 918-8889 and will gladly give you the most fair and kind service you deserve. If you are in the greater Los Angeles area, or the surrounding regions, then BR Garage Doors and Gates. is the right option for you. We serve the entire Los Angeles area with a great deal of professionalism. So, if you are looking for a reliable Electric Gate Repair Company in Los Angeles, then we are here for you. No matter where you are, if you are looking for the best Los Angeles Electric Gates, then can call us anytime. If you have an emergency, then our team of experts would be more than happy to offer you the best services at the best prices. BR Garage Door and Gates Repair uses the latest and the most advanced tools and techniques to install and repair your gates. This helps us to reduce the time and money taken to complete the project. 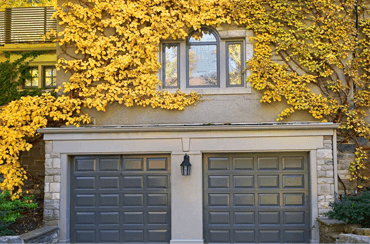 Installing garage doors or electric gates in Los Angeles doesn’t have to be expensive. BR Garage Door and Gates Repair would help you to save money as our charges are amongst the most affordable in the industry. Time is money to you and to us as well. We value time more than anything else. We ensure that the project is completed on the same day as we start. This way you get completely hassle-free solutions. Fill in the contact form below and our friendly representatives would get in touch with you as soon as possible. just dial the number below.